The North Face Flight Ventrix trail running jacket is made of ultra-light and durable fabric, designed for professional runners who want to run long distances in cold or windy conditions. The lightweight Ventrix padding activates with movement and offers balanced warmth, protection and breathability during the most dynamic sessions. This piece belongs to the Flight Series collection inspired by athletes, for a racing equipment always ready for action. 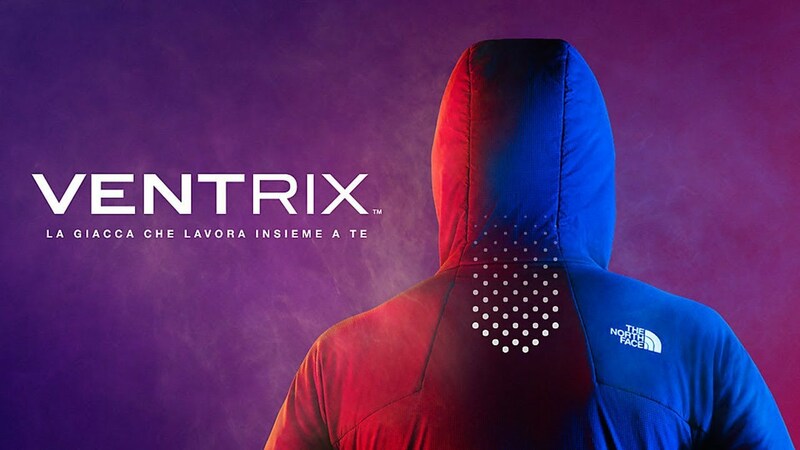 Ventrix is the ultimate insulation technology that keeps the body warm without overheating, adapting to movement and regulating body temperature. The products feature perforations in key zones that open with movement allowing excess heat to escape while remaining closed in times of rest to retain heat.